Dentists have used in-office fluoride treatments for decades to help protect the oral health of children and adults. If you or a family member are at a moderate-to-high risk of developing tooth decay (also known as caries), a professional fluoride treatment can help. The fluoride preparation used at Grand Dental Center is a much stronger concentration than that found in toothpastes or fluoride mouthrinses. Fluoride treatments generally take just a few minutes and are usually applied with a cotton swab or brush in the form of a varnish solution. After the treatment, we ask that you not rinse, eat or drink for at least 30 minutes to allow your teeth to absorb the fluoride and help repair microscopic areas of decay. Depending on your oral health status, fluoride treaments may be recommended every three, six or 12 months. I had fluoride treatments as a kid, do I still need them as an adult? As long as you have teeth and want to maintain them as strongly as possible, then, Yes, you can definitely benefit from fluoride. Research indicates that topical fluorides – from toothpastes, mouth rinses, and dental office fluoride treatments – are as important in fighting tooth decay as in strengthening teeth during development. Just because the tooth structure is done developing doesn’t mean you don’t need fluoride anymore. You still need it but for other reasons. 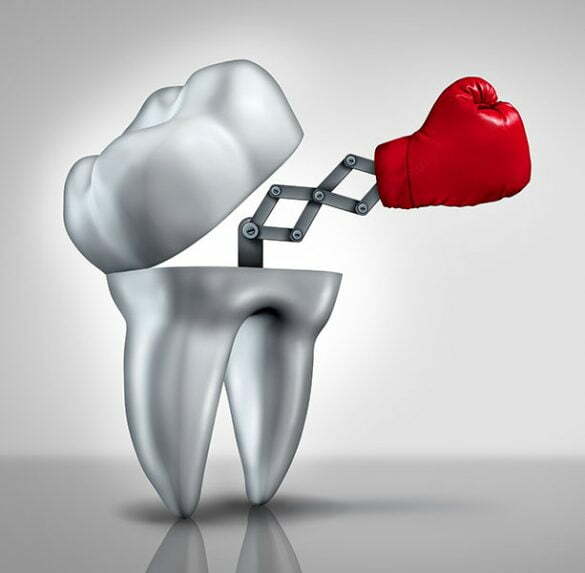 Fluoride keeps the tooth enamel strong and solid by preventing the loss of important minerals from the tooth enamel. Situations that may put adults at higher risk of tooth decay and therefore would benefit from additional fluoride include: gum disease, history of frequent cavities, adult orthodontics, sensitivity, dry mouth, tooth recession and restorative treatments. Dry mouth – Caused from reduced salivary flow due in part to age, certain diseases and most often a side effect of medication. Specific medications that cause this are antihistamines, allergy, anxiety and high blood pressure medication. Lack of saliva makes an individual more prone to tooth decay by not allowing food particles to be washed away or allowing acids to be neutralized. Tooth recession- People in the United States are living longer and retaining more of their natural teeth then ever before. Because older adults experience more problems with tooth recession – when the gums recede or pull away from the teeth, the prevalence of root decay increases resulting in the need for additional fluoride to protect the root surface. Call Grand Dental Center today at 218-326-0339 to schedule an appointment and professional fluoride treatment.